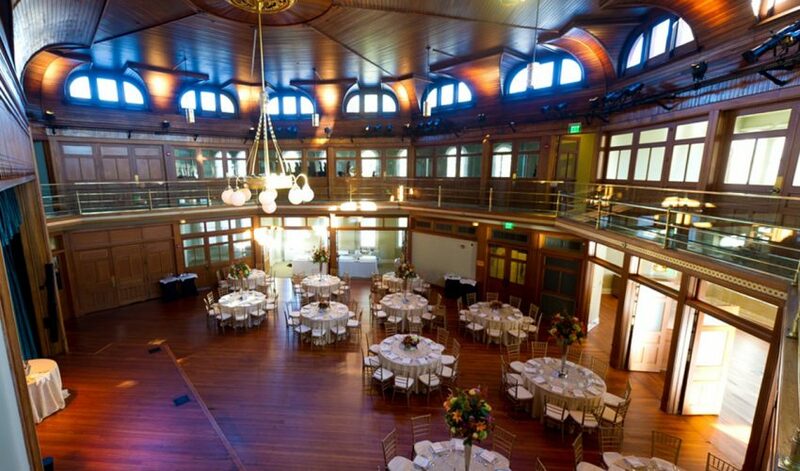 Ideal for receptions, dinners, performances, and seminars. 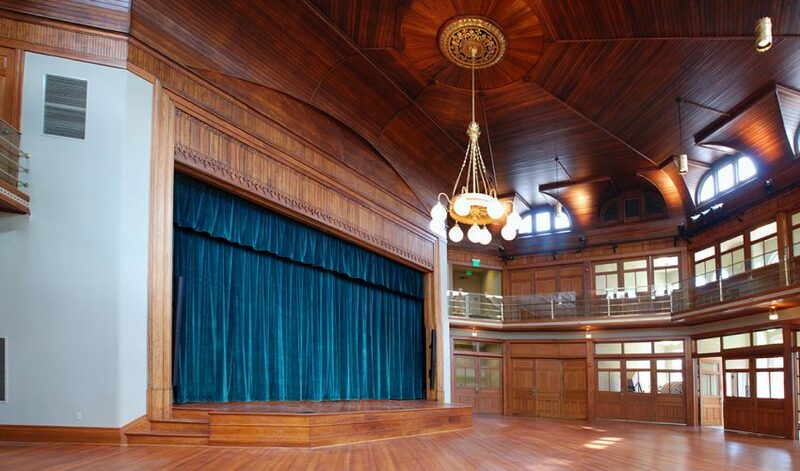 Constructed in 1900 and connected to the original building, Cook Theater is both large and intimate, a feat fostered by the rich, intricately patterned wood walls and ceiling, outstanding acoustics, and original chandelier. 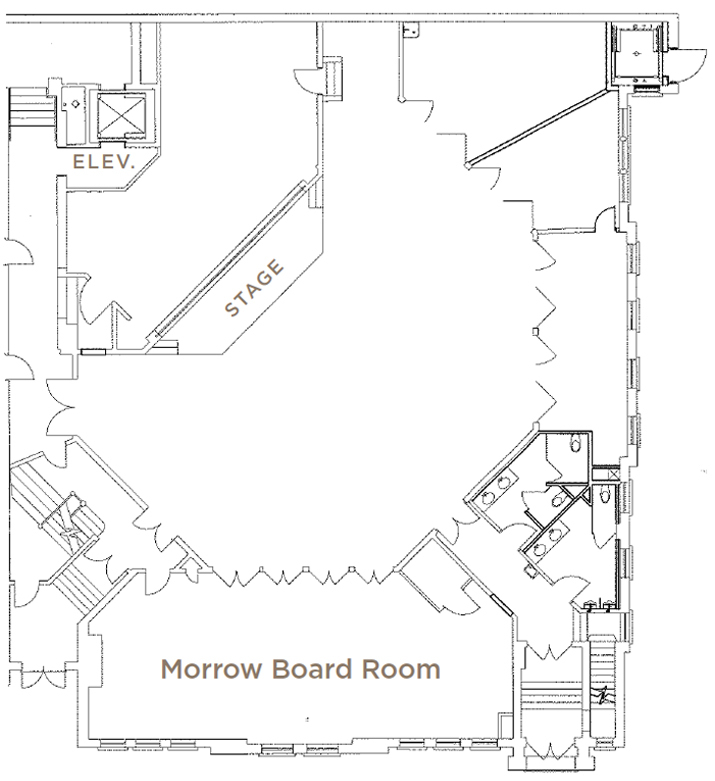 The main soaring theater space is surrounded by rooms that open to the theater on the main level and mezzanine. 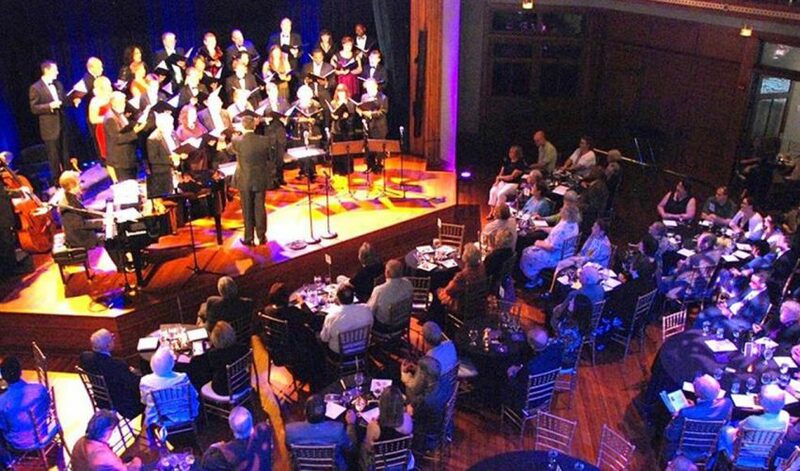 The proscenium stage, equipped with theatrical lighting, sound system, video projection, and a Yamaha C3 piano, has been used for concerts and small theatrical productions. 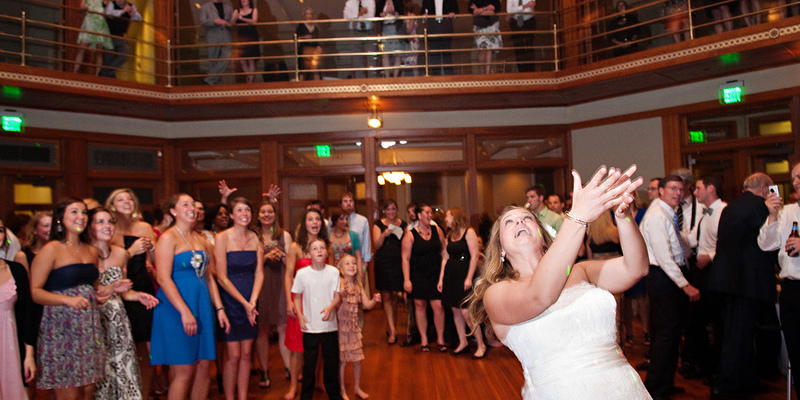 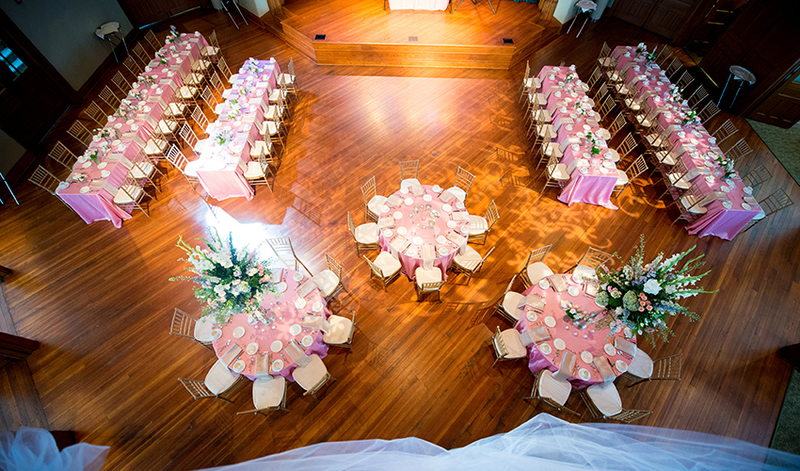 Cook Theater offers the ultimate convenience of accommodating a reception following a wedding or performance. 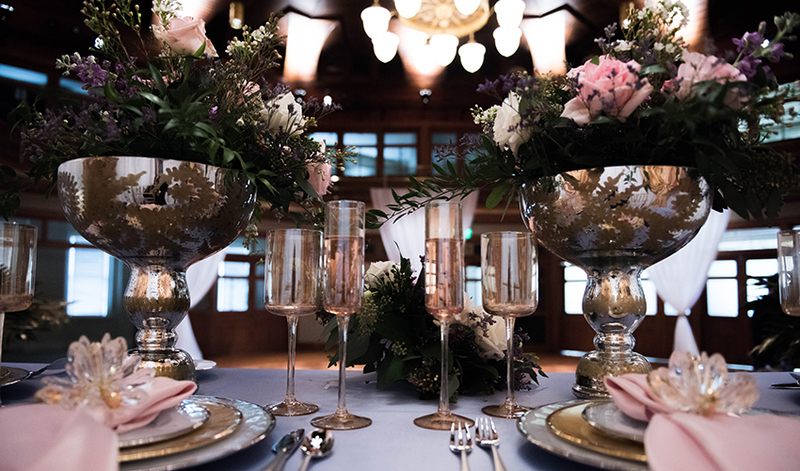 The space can accommodate a 350-person dinner or a 50-person banquet while retaining the lively atmosphere of a social event. 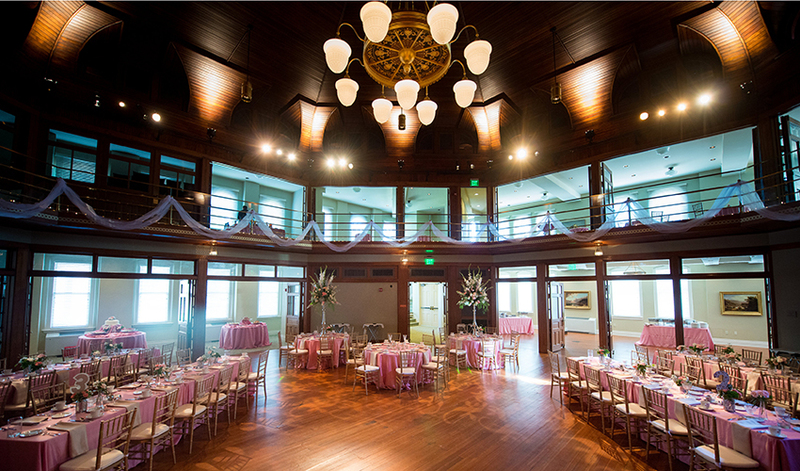 Surrounding rooms may be closed off for an intimate setting or opened to increase the room’s seating capacity. 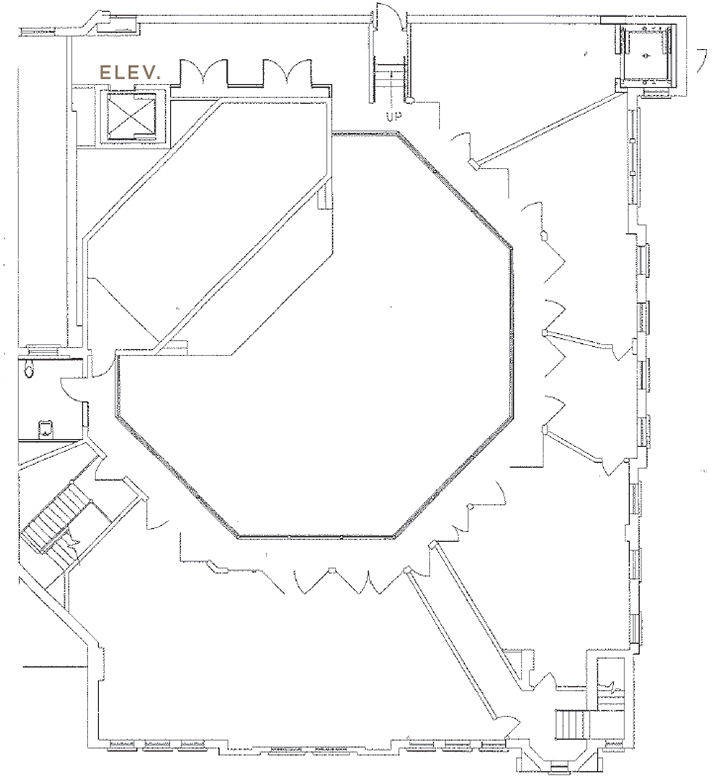 In addition to the catering kitchen on the level beneath Cook Theater, a service elevator connects to warming kitchens on the main level and mezzanine, assuring all guests will have piping hot meals. 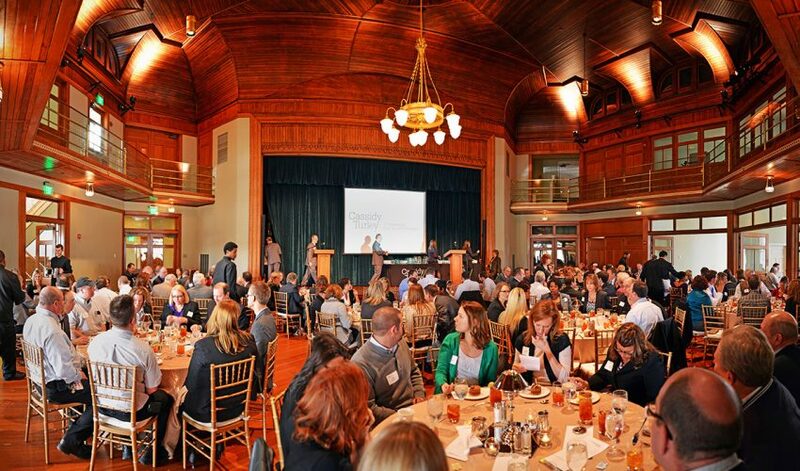 Cook Theater accommodates a broad range of events—corporate luncheons and training sessions, conferences with breakout sessions, dinners and cocktail parties, lectures and films, theatrical and musical performances, and wedding receptions.